This is a geek. This is a geek's treadmill. 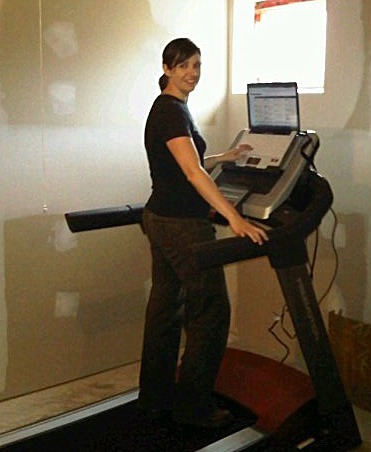 The first time I saw that you could put a laptop on a treadmill, I thought... well, that's stoopid. You can't read a screen when you run. At least, I can't. Well, no. But you CAN watch Netflix! And YouTube! And DVDs! and! and! and...! Winter is a-coming and I. AM. SET. 3hp, 12mph max, 28 programs, 6 personal workouts, MP3 compatible. And a laptop tray.